Project Fi is one of the lesser-known initiatives of Google, which has been under the radar in the recent past. For those out of the loop, Project Fi is a carrier operated by Google, which gives you access to mobile data via three networks, namely Sprint, T-Mobile, and U.S. Cellular. It also uses WiFi to make calls and send texts wherever possible. Under Project Fi, you pay $20 per month for unlimited talk and texting, and $10 per gigabyte of data used. At the start of each month, you pay for the amount of data you think you’ll be using. Once the billing cycle ends, you’ll be refunded for any excess data you didn’t use or will have to pay extra for any extra data. 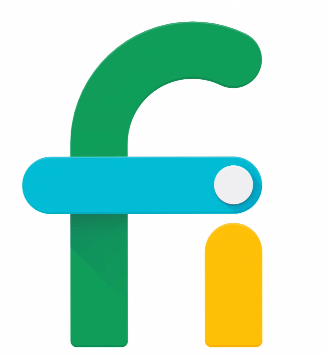 Today, the company announced that they’re adding three new devices which are compatible with Project Fi. The three devices are the LG ThinQ V35, LG G7 ThinQ and the Moto G6. Previously, one could only use the Google Pixel, Pixel 2 (along with their XL variants) and the Moto X4 under the program. It’s a bit surprising to see the LG ThinQ V35 in the list as it was speculated to be restricted only to AT&T. The Moto G6 costs $199 through Project Fi and is currently available to pre-order through the Fi website, while the G7 ThinQ and the V35 ThinQ will come to Project Fi next month with the G7 is priced at $749, and the V35 at a whopping $899. The asking price for the V35 ThinQ might is a bit questionable, as it offers more or less the same specifications as the LG G7 ThinQ. Both devices cut no corners when it comes to hardware prowess as they pack Qualcomm’s best and latest Snapdragon 845 SoC coupled with 6GB of RAM and a 6-inch 1440p OLED panel. The only visible difference between the two is that the G7 has a notched display, while the V35 doesn’t. The addition of the Moto G6 is a blessing for people on a budget, and we hope that more mid-range devices make their way into the Project Fi lineup in the future.